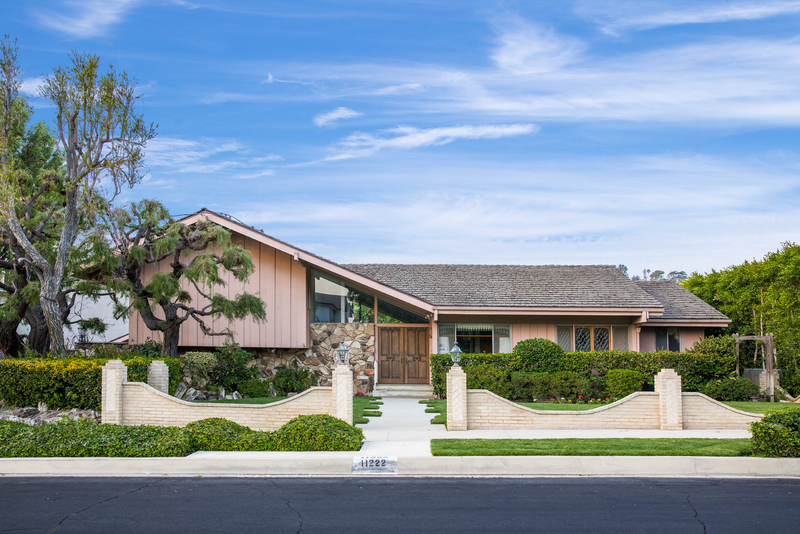 The iconic Los Angeles home where the The Brady Bunch clan once lived is for sale — although if you really have six kids and a nanny you might have trouble squeezing them in. 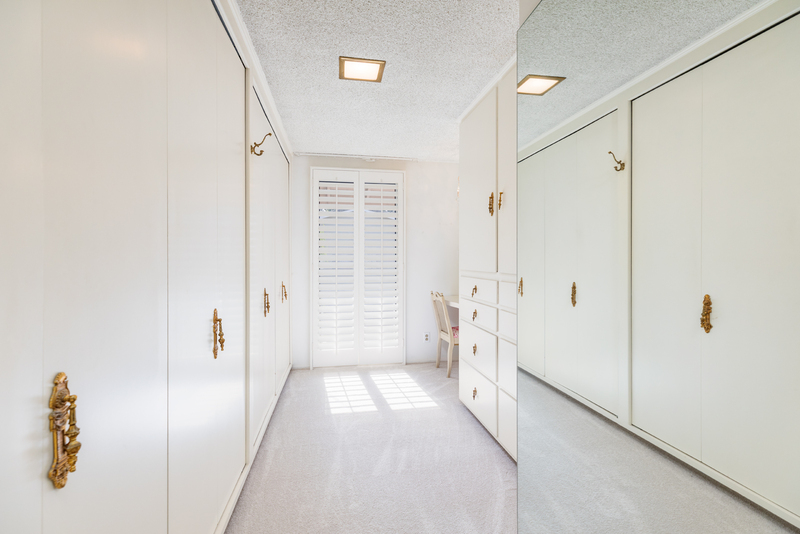 Best known as the house that appears in The Brady Bunch, 11222 Dilling Street in L.A.’s Studio City neighborhood is on the market for $1.885 million, the Los Angeles Times first reported. While the outside of the house is instantly recognizable as the Brady homestead, fans may be disappointed to learn that the inside isn’t quite as familiar. With two bedrooms and three bathrooms, the house is a good size for a small family, but would be a bit of a squeeze for three adults and six kids. And don’t get your hopes up looking for that avocado green living room or iconic ’60s kitchen. 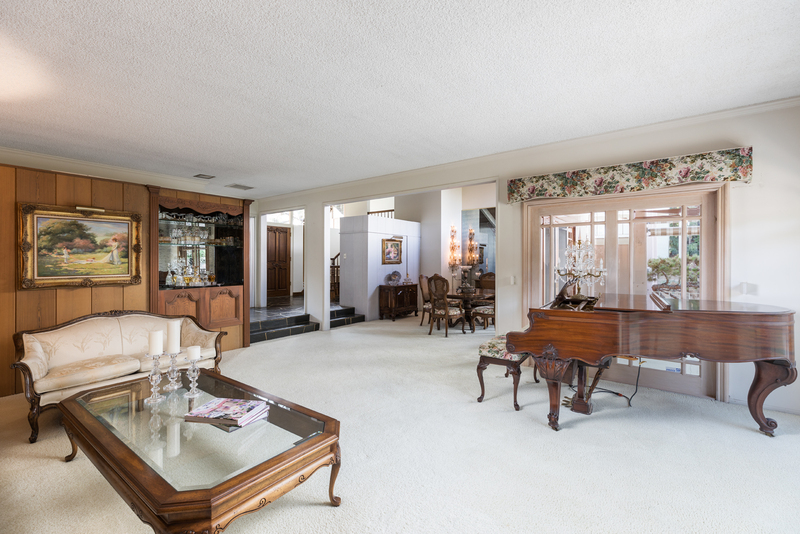 Although the home was used for external shots, The Brady Bunch filmed its interior scenes on a soundstage, meaning Cindy, Jan, Marcia, Bobby, Peter and Greg were never actually seen inside the house. 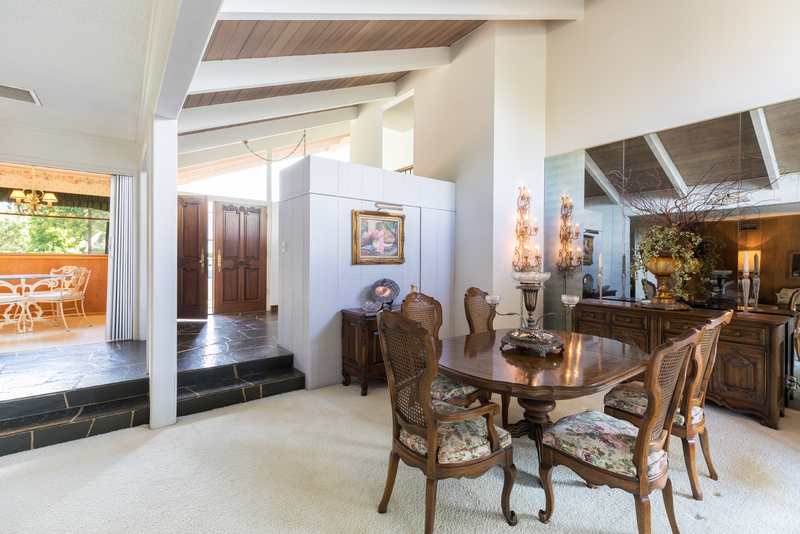 While the home’s future owners won’t get to lounge around the iconic Brady living room or pose for Christmas photos atop the show’s grand wooden staircase, they will inherit something of a time capsule of their own. 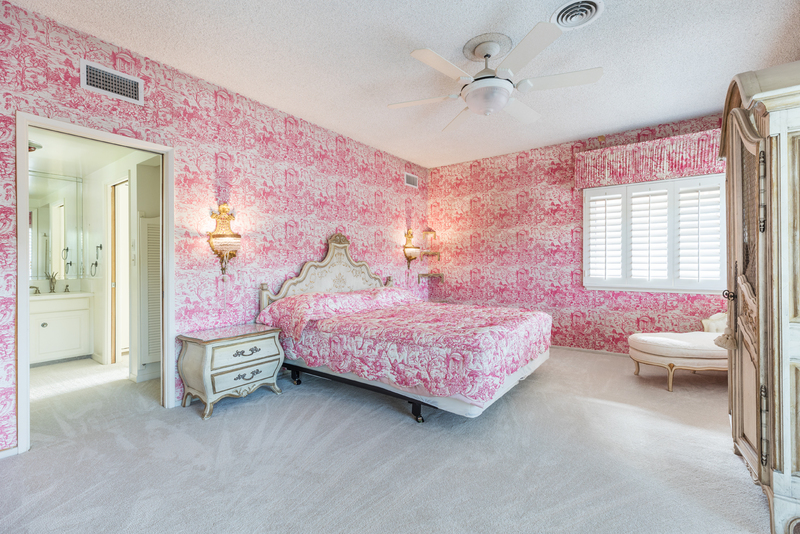 The Brady Bunch house comes with its fair share of preserved ’70s style, according to its real estate listing. 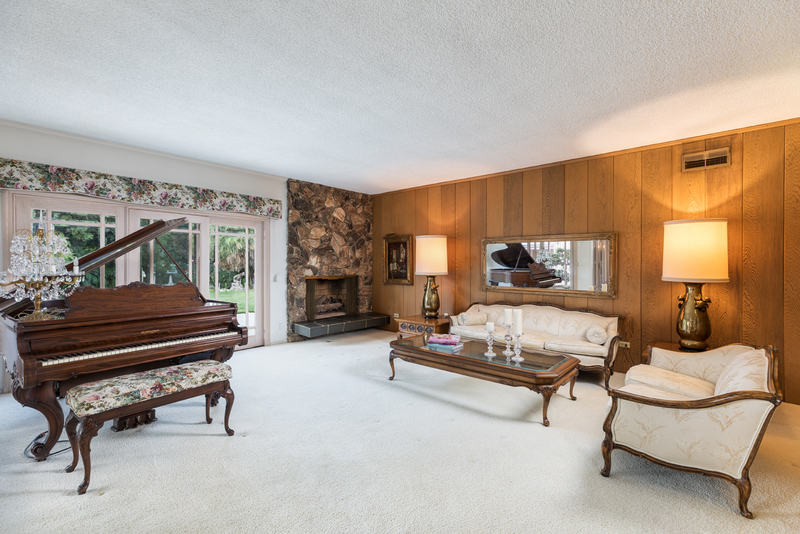 Photos show wood-paneled walls, beamed ceilings and lively wallpaper throughout the split-level home, while the listing mentions a large lot, two master suites and plentiful parking. And, save for a fence, the home’s facade looks nearly identical to its on-air appearances. While the home may be listed for a staggering $1.885 million — about $500,000 more expensive than the neighborhood’s median asking price, according to Zillow — it was originally chosen for the show because of its middle-class appearance. The buyers of the Brady house will inherit more than just television history. They’ll also own a major neighborhood tourist attraction. The listing claims the Brady house is one of the most photographed houses in the U.S. While a difficult claim to substantiate, there’s no denying the 1959 home makes good Instagram fodder. The photo sharing site is full of fan photos taken outside the iconic house.